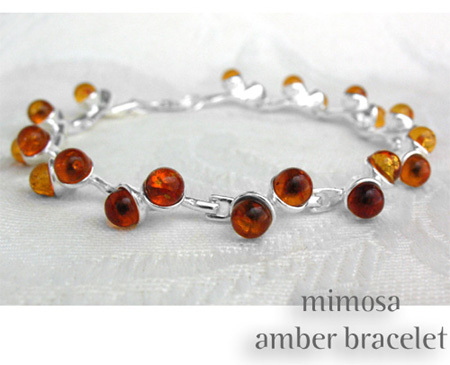 We’re not far from releasing the all new Amberjewelry.com, just a few hours. It feels like the afternoon of opening night at a new restaurant… or a dress rehearsal. If you find us here at the blog but have problems accessing the site, this is normal as the domain is redirected & republished. We’ll be back to the blog shortl too! Thank you so much for giving us the opportunity to present some of our most amazing amber goods ever…choosing and handling the selections, writing descriptions are such a great part of the excitement of our web presentation to you. Holly has been saying all along Andzia’s Amber is new again and finally, it does indeed feel that way! I understand what she’s been saying all along—our website is beautiful because of the amber we showcase and the manner in we which we obtain & present it. Dealing with reputable producers, focusing on small family shops, and intuitively letting the amber lead the way. Our business really did come from a love of amber rather than as a business that just happens to be about amber. Handling some of the world’s most beautiful amber for our new offerings, I found myself so attracted to a classic Gdansk style pieces..with curling antiqued vines and leaves, made us search for more of that type, which today really is hard to find—yes, everything old is new again. We’ll be introducing the first installment of The Chopin Collection and much more! Please enjoy viewing our new selections. And, remember, I just want you to be happy. There is much more to come.